Looking to add a modern touch to your current interior with something a little different? Introducing this beautiful Chrome Ribbed Modern Table Lamp. 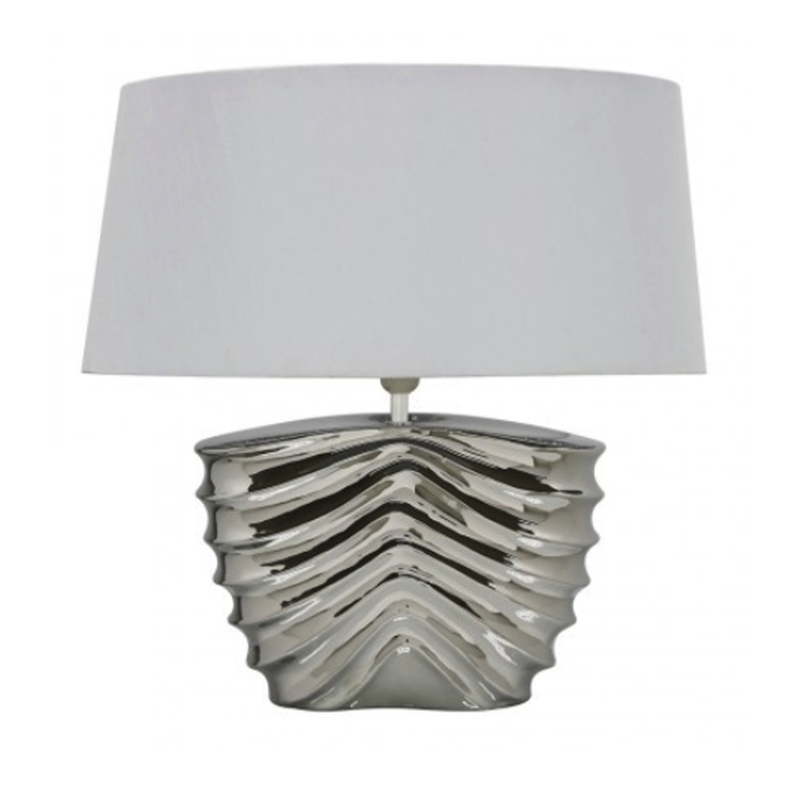 With a chrome base that has a ribs design this amazing table lamp is topped off with a lovely white silk shade. A perfect piece to add to your home if you're looking for a focal point in any room.